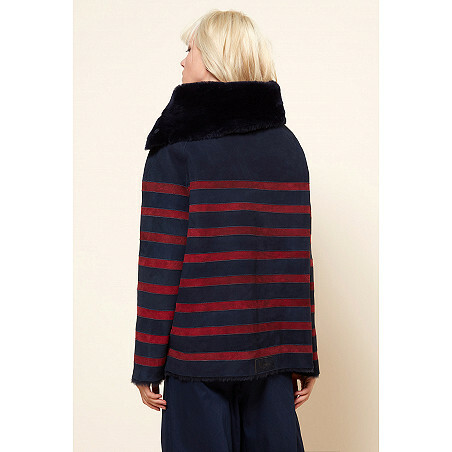 This french mariner inspired striped sheepskin coat is musthave. It has raglan sleeves and a thick rolled collar, fastened with buttons. 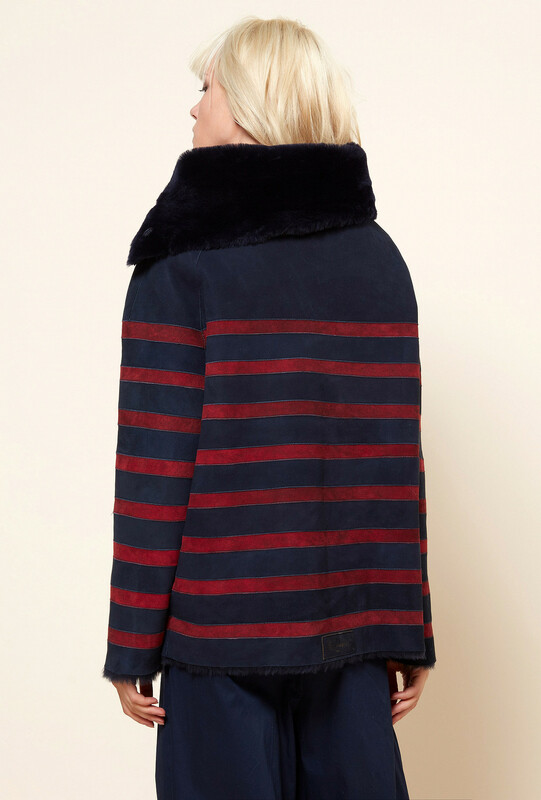 It will be great to wear duing the cold weather months. 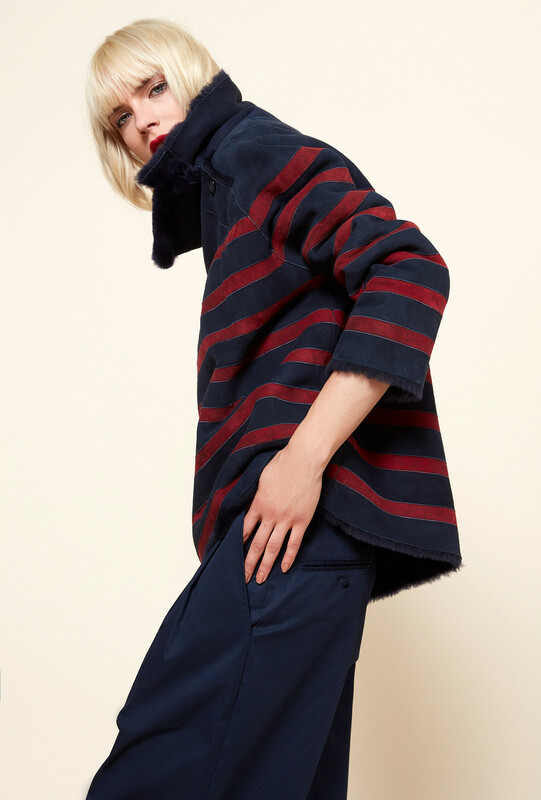 Wear it with your Mes Demoiselles... Paris outfits for an urban-chic silhouette urbaine chic.